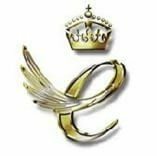 The Queen’s Awards for Enterprise is a highly prestigious award, received for outstanding achievement by UK businesses in the categories of Innovation, International Trade, Sustainable Development and Promoting Opportunity (through social mobility). The awards are made annually by Her Majesty The Queen, and are only given for the highest levels of excellence. They are judged to a demanding level and winners receive a number of benefits as well as worldwide recognition.